(VOVWORLD) - Russian Defense Minister Sergei Shoigu said Tuesday that Moscow hopes the Russia-US summit that took place last week in Helsinki, will help deepen its defense cooperation with the US and the North Atlantic Treaty Organization. 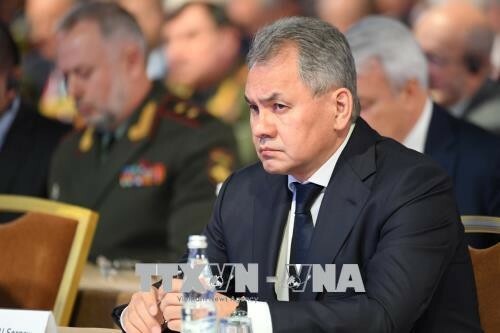 Shoigu said NATO has increased its troop strength in Eastern Europe from 2,000 in 2014 to 15,000 currently and stepped up training activities. He said NATO has conducted more than 100 exercises involving 80,000 soldiers since the beginning of this year, and that the number of soldiers participating in exercises in the past 5 years has increased 10 fold, while the number of combat aircraft has increased from 11 to 101.